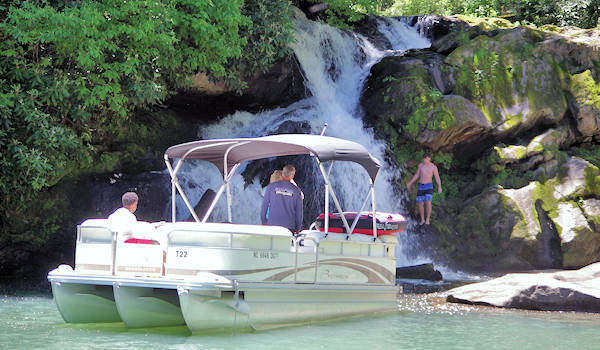 The wonderful folks at Signal Ridge Marina (located on NC Highway 107) rents a variety of easy-to-operate Bennington pontoons and tritoons for you to explore the lake (by the hour or for multiple days), perfect for both novice and experienced boaters. They are open April-October and also rent tubes, stand up paddleboards, skis, wakeboards and kneeboards. And they have the only gas on the lake! Water temperature runs about 80 degrees in July and August. Click here to visit their Web site. 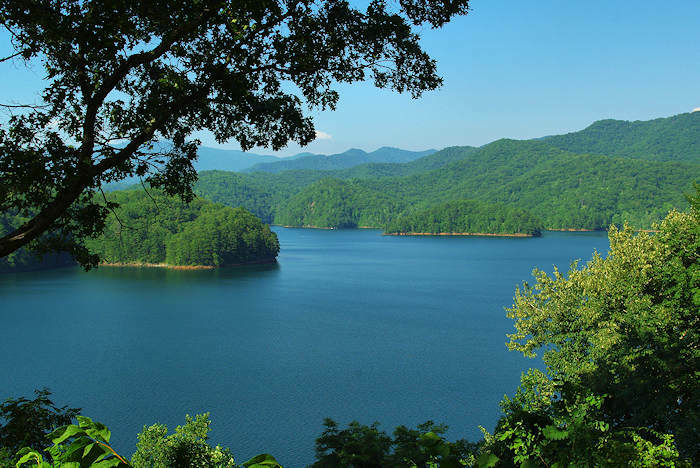 For the fisherman, the lake has large and small mouth bass, walleye, yellow perch. crappie, rainbow and brown trout, large brim and a few catfish. Best fishing is in the spring with walleye and bass below the falls and on the rocks. Crappie and brim move on the banks and trout over the channel. Summer is best early and late in the day. In fall, the trout and walleye move shallower as the water cools. Again, check with Signal Ridge Marina for advice and any help with your boat or renting one. The lake bottom plunges as steeply as the mountains that meet the shore. 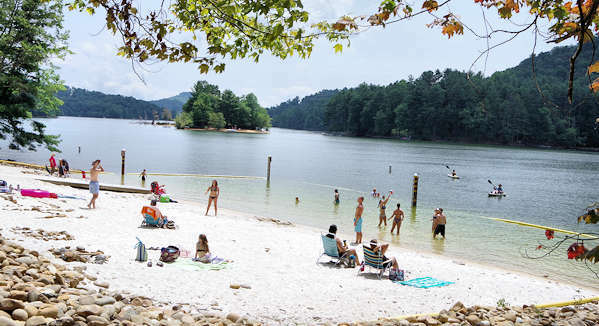 The depth a short distance from the water's edge may reach 80 feet or more. 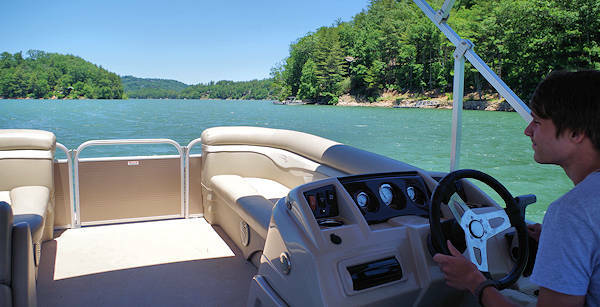 On the week of July 4th, rent a boat and enjoy a big fireworks show over the lake on July 2, 2019. 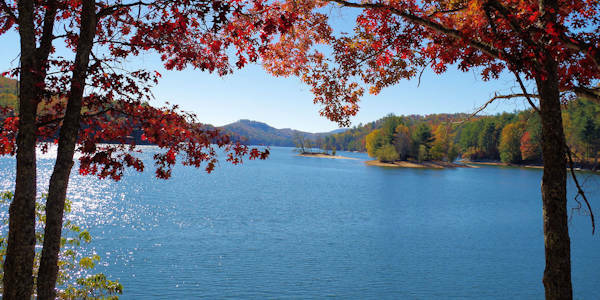 Each fall, rent a boat to see colors from the water! Peak color is usually mid-October. 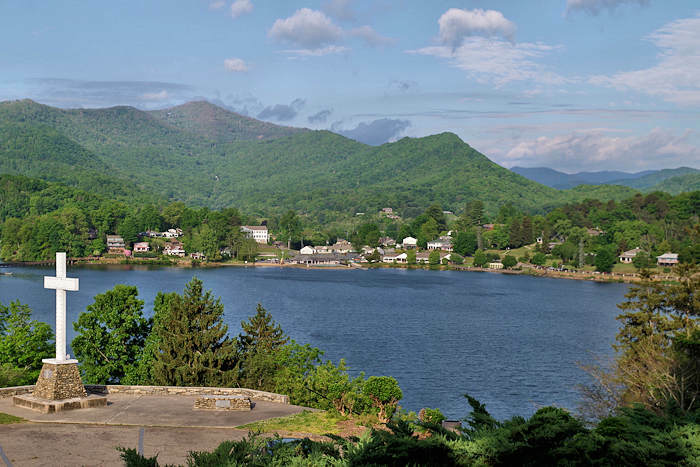 Nearby: Take a scenic drive from Lake Glenville north to Western Carolina University, Dillsboro and Sylva. 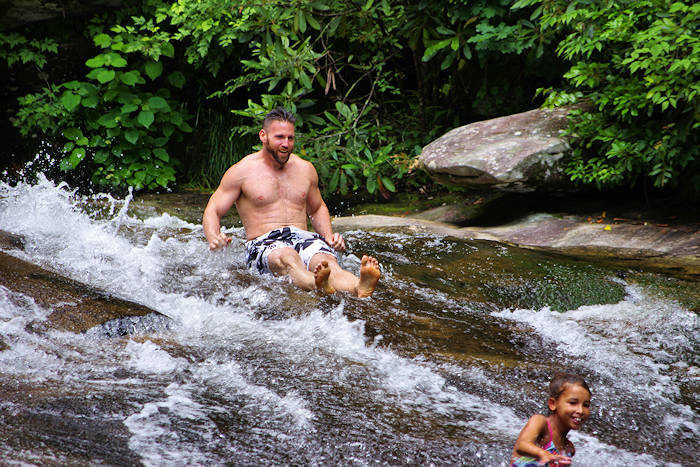 And see more things to do in Cashiers. 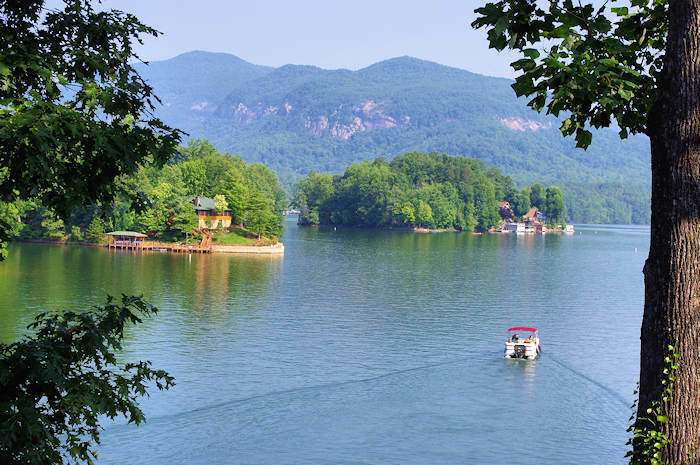 Explore gorgeous Lake Glenville high in the mountains near Cashiers on an easy-to-operate pontoon and tritoon boat, perfect for both novice and experienced boaters. 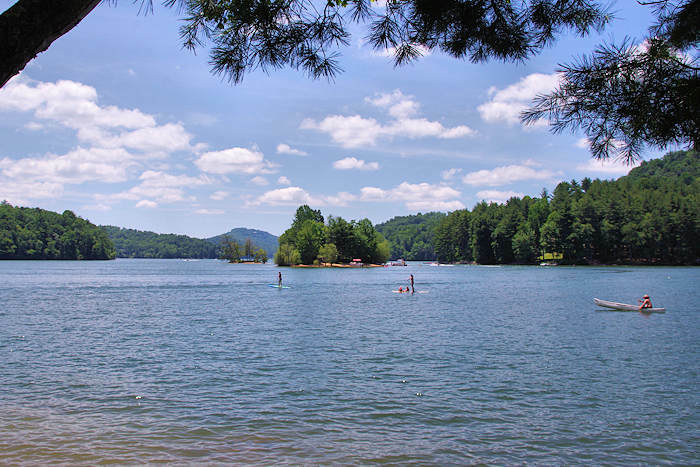 They are open April-October and also rent tubes, paddleboards, skis, wakeboards and kneeboards.